Because of the many different ways that fungal examination of nails can be ordered, 4path’s policy is to triage nail fungal specimens in the following manner, based on what is generally thought to be best medical practice. Read the important information about problems with PCR molecular testing for onychomycosis by reviewing the tab lower in this window. If order includes “culture” – 4path will include culture specimen in the final results addended to the surgical pathology report in approximately 14 days. This provides all information on one, easy to read and file report. Order includes request for culture – 4path will perform routine histology with PAS stain for fungus and we will culture portion of specimen for dermatophyte with final results addended to the surgical pathology report in approximately 14 days. What should you collect and submit? For Histologic examination only: Fragments of nail with or without subungual currettings (clipping, trimmings, removal, etc.) can be submitted in a clean plastic bag, (supplied by 4path) or in a clean container. Formalin MAY be added. Please note: Specimens in formalin are NOT suitable for culture. Label container and submit with requisition. Histologic examination WITH CULTURE: Fragments of nail with or without subungual currettings (clipping, trimmings, removal, etc.) can be submitted in a clean plastic bag, (supplied by 4path) or in a clean sterile container. Formalin should NOT be added. Label container and submit with requisition. Final culture results are typically posted to the surgical pathology report within 14 days. Please note: 4path performs histopathology and PAS stain with every culture order to ensure the highest level of detection of fungal organisms in the submitted sample. PAS stain sensitivity is superior to culture alone. In our opinion, these are the best methods for detection of nail fungus. Although both stains are listed here, the PAS is faster, easier and less expensive. When done properly, the sensitivity between both methods is essentially comparable. Very sensitive when done correctly. In our experience…these are more sensitive than culture. Detects fungal organisms in nail that may have become non-viable during transport. Can determine location of fungal growth in nail complex. Can speciate some fungal organisms based on morphology. Can correlate in conjunction with standard histopathology, for examination of other etiologies for nail dystrophy. Best done by laboratories experienced with nail specimens. PAS STAIN remains the methodology of choice for SENSITIVITY, SPECIFICITY and MOST RAPID Turn-Around-Time. We believe that PAS stain, along with standard histopathology, is sufficient for most diagnostic purposes. If desired, a reflex GMS stain can be ordered. In that case, the GMS stain is only performed if the initial PAS stain is negative. There is no reason to do a second fungal stain if the first is positive. Culture is considered by some to be the gold standard for evaluation of nails for fungal organisms. However, there are some a major drawbacks to fungal cultures. Pro’s:Fungal culture can help speciate fungal types better, however, that may be of limited utility. Con’s: Fungal cultures can be contaminated by other sources relatively easily. Cultures take 12 days or more to be considered “negative”. Fungal organisms will only be detected if they are delivered onto the media in a condition where they can live and grow. Should be collected in a “sterile” environment. Provides NO correlation with the location of the fungus growth in the specimen (ie. subungal debris vs. within nail bed). Does not give you a good visual idea of the amount of fungus present. NOTE: 4path uses a proprietary method (Patent Pending) for evaluation of fungal nail cultures developed by 4path. Using this method, the examination of the fungal culture colonies is taken to a new level. This PATENT PENDING system for fungal culture analysis is available ONLY at 4path. This is probably the least sensitive method of fungus detection. This method of examination is NOT recommended because of the significant drawbacks of the method. Can be done in the office easily. Quick and easy with minimal chemicals. Probably HIGH level of false negatives, due to insensitive method. Probably only positive in high volume infections. Can’t really see where the fungal growth is. There is no doubt that molecular testing is a technology that can provide exceptional information for a variety of pathologic processes. These highly specialized tests are often used in the evaluation of malignancy and many serous immediately life threatening infectious diseases, such as infectious diarrhea or respiratory diseases. 4path is proud to offer such tests for GI and Respiratory infections. Click here to view those offerings. These cost of these tests (often many hundreds of dollars) is justified in these cases by the immediate seriousness of the pathologic process, necessitating institution of therapy as quickly as possible to help prevent further disease morbidity or even mortality. There is no real significant benefit to the patient for starting treatment for onychomycosis a few days earlier. The cost to the patient can be substantial, far in excess of the “gold standard” of histopathology and PAS stain. Often molecular tests are added to already performed standard testing, only resulting in greater cost to the patient. There is significant potential for false positive results. Molecular testing is so sensitive that even seemingly insignificant contamination from another patient, in the office, during collection, during transport or during processing in the laboratory can result in a false positive result. Simple airborn contamination by fungal spores in your office environment can potentially cause these false positives. Because of the extreme specificity of molecular tests, false negative tests can be seen when there are fungal species that are not recognized by the molecular reagents. For example, a case of Aspergillus would be missed when only molecular testing for Trichophyton, Microsporum or Epidermophyton is performed. Molecular tests for organisms associated with onychomycosis are NOT FDA APPROVED. The sensitivity, specificity and other important aspects of the test have not been reviewed, nor approved by the FDA. The molecular tests that are performed by 4path for GI and Respiratory illnesses are FDA approved. We wouldn’t want it any other way. Summary: We believe that nail evaluations are best done by PAS / histopathology. The PAS stain is highly sensitive and FAST for getting an answer. In addition the standard histopathology provides additional insight into the nature of nail dystrophy, such as viral (verruca) or dermatitis (psoriasis), when present. In our experience with comparison between our PAS stains and cultures, we found that PAS was more sensitive and found infections that were false negatives by culture. Moreover, we provided that information almost a month earlier than when the cultures were completed. However, cultures may provide the addition of fungal speciation, which may be desired by the submitting physician. Addendum: A recent comparison of PAS stains, KOH and Cultures supports the original posting. In our experience, the PAS stain was positive in nearly all culture positive cases (95.6%) ( (i.e. nearly ALL culture positive cases were detected by PAS). However. cultures MISSED fungus in nearly 53 % of positive cases, as identified by PAS stain (i.e. culture missed over half of all positive cases) 4path performs all nail, skin and hair fungal cultures in-house for improved performance and turn-around-time. 4path holds fungal cultures for 14 days, the time specified by the culture media provider. Holding specimens for a longer time period may result in false positive results. 4path has conducted additional studies to determine if holding fungal specimens beyond the recommended 14 days would add sensitivity to the test. We have NOT found that an additional two weeks of incubation provides significant additional positive cultures. For that reason, we report testing after the manufactures recommended culture period of 14 days. Conclusion: PAS STAIN remains the methodology of choice for SENSITIVITY, SPECIFICITY and MOST RAPID Turn-Around-Time. Culture may be added, without additional submission requirements, if desired, with positive cultures reviewed using 4path’s PATENT PENDING analysis system. We do NOT recommend using EXPENSIVE molecular tests for onychomycosis due to the high cost and increased potential for false positive and false negative results, and the lack of FDA approved test systems. We know that your patient specimens are important. Even nails. So when we had the choice between using standard paper envelopes and more expensive Tyvek (TM) envelopes for our nail return envelopes..the choice was easy. And we also included a self-seal strip for ease and security in closure. Don’t settle for paper envelopes that tear and lose your specimens, or envelopes that you have to lick to seal (YUK! ), when 4path provides a better solution for both issues. AND….we are SO SURE of our delivery process, that if a nail specimen is ever lost due to envelope failure (assuming that you seal it properly) we will happily provide analysis on a repeat nail specimen to your patient at no charge. It’s our way of giving you the confidence to use our nail transport system. Every patient has questions when they are presented with a new diagnosis. And when patients hear that they may have nail fungus…they start asking questions and questions. Even though the diagnosis of onychomycosis hasn’t been diagnostically established, you get caught answering these questions. And it happens each and every day for every new patient that you are sampling for onychomycosis. 4path Understands this…and we have developed a program that can help you. Help you get those questions answered for the patient, yet actually take less time than you normally spend on a patient visit. It’s 4path’s unique and exclusive patient nail fungal education program. So how does this save you time? When you tell the patient that they may have onychomycosis, you can inform them (using the supplied information card) that they will be getting a book that will answer just about all of their questions. And they should read that book first, then if there are any remaining questions, they can be answered at the next office visit. This approach allows you to provide the patient with comprehensive information, yet without your time and effort. Let 4path’s education program do the education for you. That’s what a laboratory can provide when it looks at your practice as a partner and not a revenue source. Want to learn more about this program? Click HERE for our flier on our nail program. 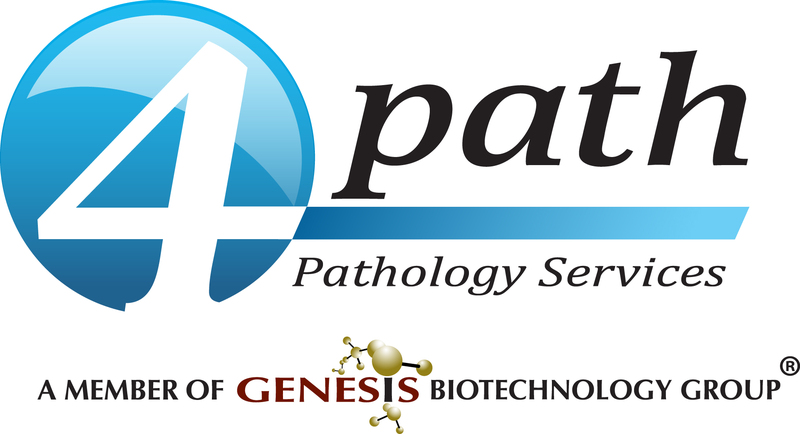 Once you see the value of our education program, call us at 877-884-7284 (877-88-4path) and let 4path be your partner in onychomycosis evaluation.